SHOOT would like to wish Carlos Tevez, many happy returns as he celebrates his 35th Birthday today. The fiery forward has gone down in folklore at many of the clubs he has represented, always giving 100% when he crossed the white line. His honours list is quite staggering winning plenty of silverware in many different countries, including three Premier League titles, the Champions League, FA Cup, Argentine Primera Divison, Copa Libertadores, two Serie A titles and many more. Tevez is certainly well-travelled, with his football career spanning three continents and five countries. But where is the Argentinian now? The 35 year-old is currently enjoying his football back at his first club Boca Juniors in Argentina. It’s Tevez’s third stint at the club, nearing the end of what a successful, but controversial career in the game. 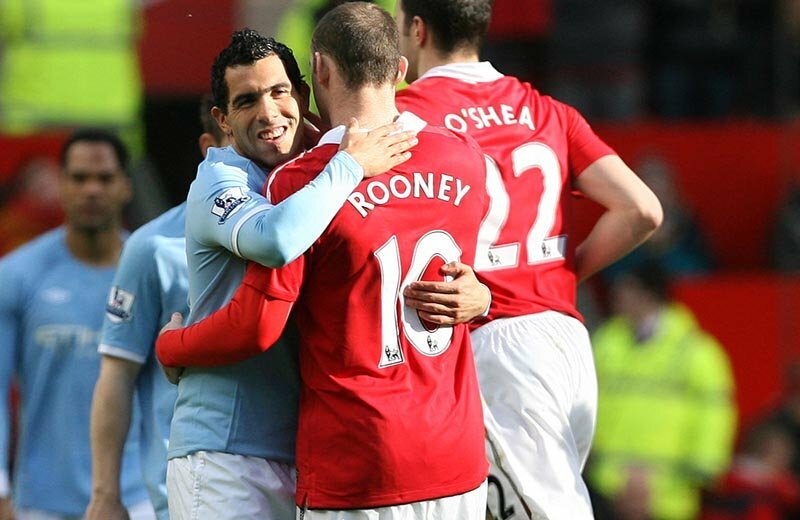 Tevez playing for Manchester City, coming up against former striker partner Wayne Rooney. We will have to roll the years back to October 2001, where a 16-year-old Tevez made his debut for his boyhood club. The young striker was nicknamed ‘El Apache’ and was an instant favourite amongst the passionate Boca locals. An impressive 75 appearances and 26 goals later, Tevez was signed by Brazilian outfit Corinthians in January 2005 for a reported $22million. At the time it was the biggest ever transfer in South American football. The Argentinian captained Corinthians in 2005 as they went on to win the Campeonato Brasileiro, with Tevez named the league’s best player, the first non-Brazilian to do so since 1976. A move to England was on the cards in August 2006, when Tevez reportedly refused to play for Corinthians. 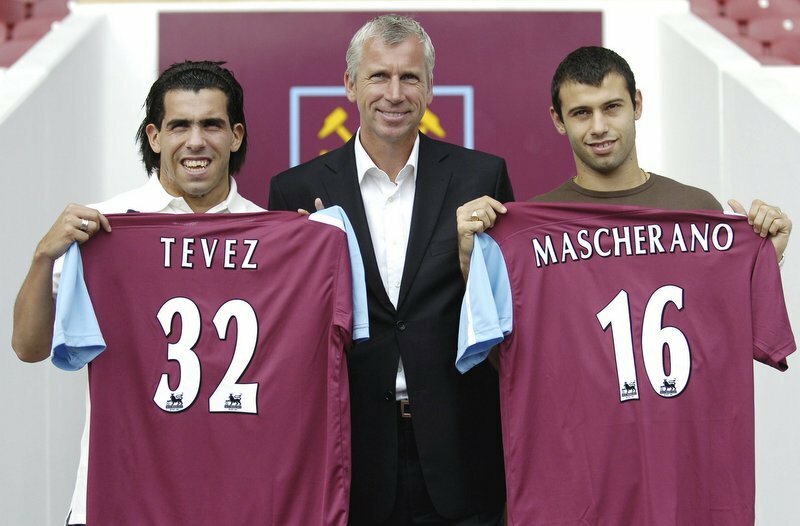 West Ham United were the buyers in one of the most shocking Premier League transfers ever, with both Tevez and Javier Mascherano joining the Hammers on deadline day. On the pitch, Tevez became an instant hero for the East London club. Under new manager Alan Curbishley the striker put in some inspired performances, including the only goal in a 1-0 win at Old Trafford to keep the Hammers in the Premier League at the expense of Sheffield United. At that time, you couldn’t read the back pages of any newspaper without reading the phrase, ‘Third Party Ownership’. Tevez and Mascherano were later found to be partially owned by businessman Kia Joorabchian’s company Media Sports Investment. Third Party Ownership has since been banned in football. West Ham United were fined £5.5million by the Premier League and subsequently paid the Blades £4million a year in compensation. By August 2007, Tevez had made the move north to Manchester United. The Argentine, again became a fan-favourite at Old Trafford, known for never giving defenders a moment’s rest whilst scoring and creating goals. In his first season with the Red Devils, Tevez played a major role in the club’s remarkable campaign, winning both the Premier League and Champions League. Tevez’s ‘never-say-die-attitude’ formed a good partnership with fellow stars Cristiano Ronaldo and Wayne Rooney, with Sir Alex Ferguson’s men simply unplayable at times. However, with controversy never too far away from the Buenos Aires-born goalscorer, a move to the blue side of Manchester took place in July 2009 for a £47million fee. Tevez became the first player to make the switch since Terry Cooke moved from United to City in 1999. The transfer was a huge talking point at the time with City starting to rise up the table with Sheikh Mansour’s financial input, and who can forget the ‘Welcome to Manchester’ billboard. In a similar vein to his previous clubs, Tevez quickly became a favourite amongst the fans, especially after choosing to leave their City’s biggest rivals. The striker didn’t have as much success in a blue shirt as he did a red, but he did win the Premier League and FA Cup at the Etihad. The Tevez/City relationship was not always harmonious though. The striker famously refused to come on as a sub in Munich in September 2011 and fell out with then manager Roberto Mancini. What preceded was a bizarre period where the striker was golfing in Argentina for a few months until returning to the side in February. Unfortunately the Premier League lost the hard-working, colourful striker to Juventus in the summer of 2013, where again Tevez won more club silverware. Winning the Serie A both times in his two seasons with the Old Lady and scoring 50 goals in the process. As well as lifting the Coppa Italia and the Supercoppa, Tevez was named Serie A footballer of the year following his successful 2014/15 campaign. 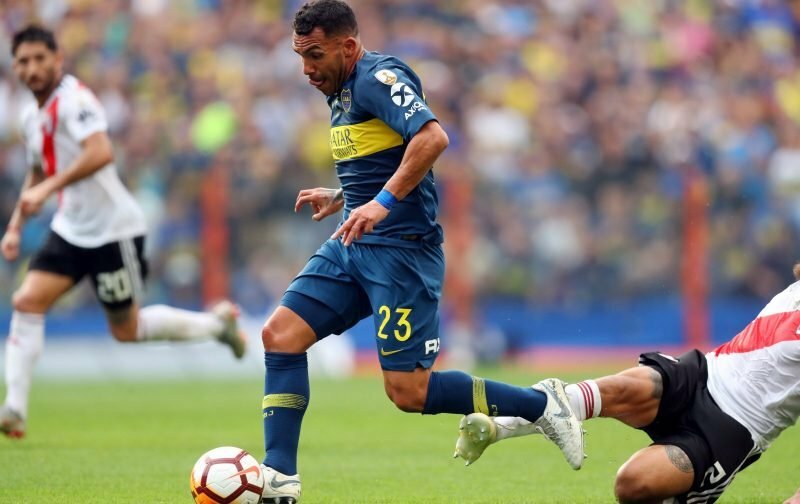 At the age of 31, Tevez made a return to his hometown club Boca Juniors to pursue his dream of winning the Argentine Primera Division. He went one better, winning both the league and cup double to become the only footballer to win two domestic doubles in one calendar year. There was still time for something controversial in the Argentine’s career though, as he joined Chinese side Shanghai Shenua for a reported wage of $41million dollars a year. The striker insisted the wages were not that high, but it was clear he was receiving one of the biggest annual salaries in world football. Tevez was heavily criticised during his time in China and near the end of his time, described it as a “holiday”. 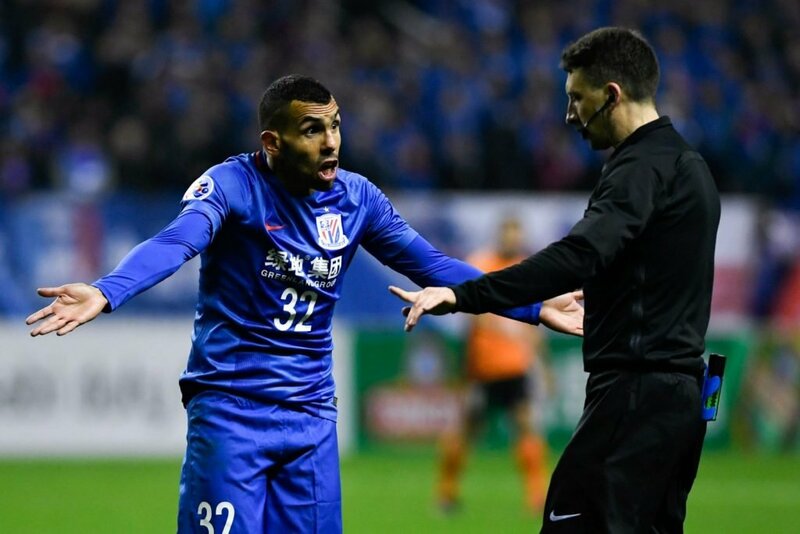 Tevez described his time playing for Chinese side Shanghai Shenhua as a “holiday”. Tevez has now returned to the Buenos Aires club where it seems he will see out his club playing days. The striker, often compared to a bulldog, has had an incredible career, winning trophies everywhere he has played. Let’s not forget his international exploits either, spanning 76 caps for Argentina and winning an Olympic Gold Medal in the famous 2004 team. A fan favourite, never shy of a major incident, Tevez’s footballing career has certainly been one to remember. Until he hangs up his boots, you never know what could be around the corner.